It will launch on Monday in the UK, Australia, Germany, France, and Brazil. 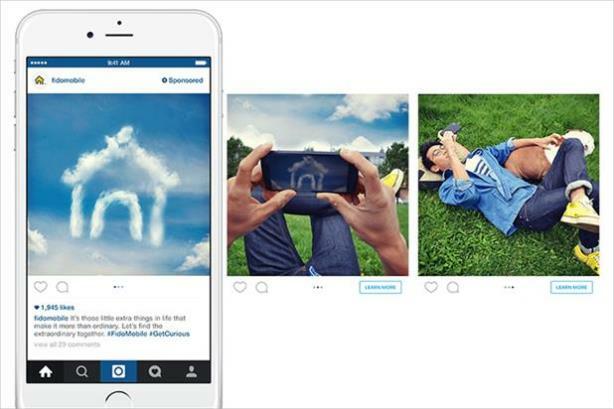 MENLO PARK, CA: Instagram, the photo-sharing network, is rolling out its carousel ad platform globally to help brands be more creative and "push the boundaries" with their ads. It will encourage users to swipe left to see up to four extra images in a post from a brand trying to "tell deeper stories." Advertisers can also add a link to their website. The platform will launch on Monday in the UK, Canada, Australia, Germany, France, and Brazil. The carousel ads will launch with Ford, Tui, and NHS Blood and Transplant in the UK. Brands such as L'Oréal will appear in EMEA campaigns. Amy Cole, the head of brand development for EMEA at Instagram, said the site has been testing the platform for three weeks and has seen advertisers do more with their ads. For example, a retailer can demonstrate different ways to wear an item, or a supermarket can show recipes in a series of images. "Carousel is a natural evolution. We are seeing incredible results from videos, and this will help advertisers tell more complete stories," she said. "It’s a way of us finding ways of expanding the offering with the brands we are working with." This story originally appeared on the website of Campaign.